There’s a well-known saying “If it’s too good to be true, it probably is”. I’m sure this proverb has helped many of us from falling victim to all the ingenious scams around us. 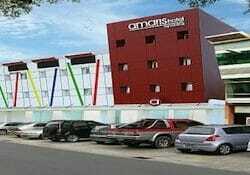 Yet today, I’m going to tell you that there ARE Cheap and Good Batam Hotels, especially in the main Nagoya area. The Nagoya area in Batam is just like the Orchard Road area in Singapore. First of all, due to an increasing number of new hotels sprouting up all over Batam, hotels are competing with each other to fill up their room capacity. Secondly, as new South East Asian destinations are popping up all the time, there’s a constant battle among countries and cities for precious visitors. So hotels are trying to win the competition is by lowering their prices while at the same time, raising their service standards. It’s bad news for them engaging in such tactics but hey, it’s good news for you, valued customers! Let’s not beat around the bush, the main reason this hotel is on the list is because of its price. At this price, with the service quality, and range of amenities, you’d have a lot more to shout about than to complain. 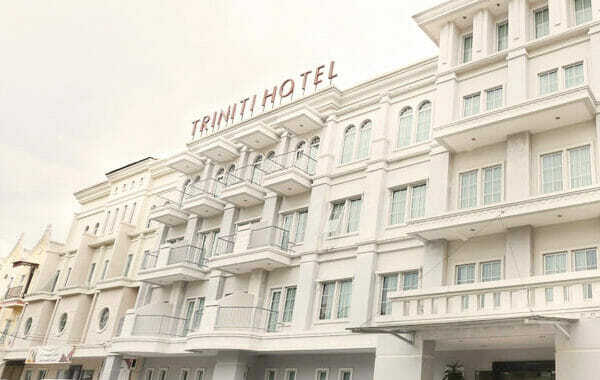 Triniti Hotel Batam is just 10-min walk away from the popular Nagoya Hill Shopping Mall. If you’re concerned with walking along the small alleys to and from the Nagoya Hill mall at night, you could take a short taxi ride. It would cost you less than S$5. Situated in the main Nagoya city centre and within walking distance to Batam’s Nagoya Hill Mall, there are tons of things to do if you stay in Triniti hotel. Plenty of options for food, shopping, massage, cinema, and other activities. As a 3-star budget hotel, it has everything that other bigger hotels have, except for a swimming pool. Every room comes with free Wi-Fi, a safe, a writing desk, and toiletries. 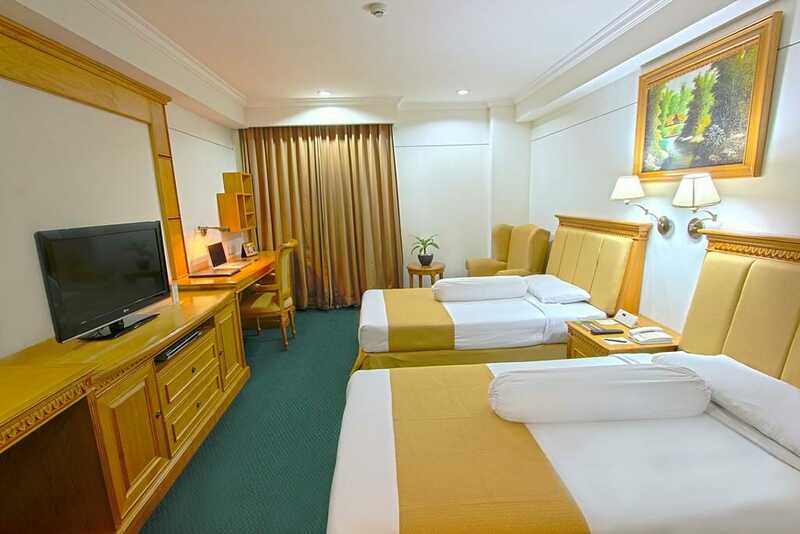 The hotel offers three different room categories: Deluxe, Superior, and Standard. There’s also a gym, sauna, laundry, meeting rooms, and restaurant. Great value, great location, and great amenities for a 3-star budget hotel. Our Triniti Hotel Batam package costs S$35 per person and includes a 2-way ferry ticket, 1 night stay with breakfast and a 2-way Batam ferry terminal transfers. 3 words that got this hotel into our list of cheap and good batam hotels in Nagoya: location, location, location. Amaris Nagoya Hill Hotel located right beside Batam’s top mall, the Nagoya Hill Shopping Mall, and less than 20 steps away from it. Everything else is 5-min walk away. Minimalist and simplicity is the name of the game here. 100 rooms, 1 room type, minimalist design. Every room comes with free Wi-Fi, a safe, writing desk, and LED TV. With this location, the options are endless: food, shopping, massage (spa), karaoke, cinema, and night activities. Fantastic location, amazing value, and minimalist. Our Amaris Nagoya Hill Hotel Batam package costs S$39 per person and includes a 2-way ferry ticket, 1 night stay with breakfast and a 2-way Batam ferry terminal transfers. Rather than mentioning ALL the good points that got it as one of THE top cheap and good batam hotels in nagoya, let’s just say the only downside is its lack of a swimming pool. That is, of course, if you expect a 3-star boutique to even have a swimming pool. Da Vienna Boutique Hotel is 10-15 min walk to Nagoya Hill Mall, 15-20 min walk to BCS Mall, 5-min walk to Lucky Plaza, and 10-min walk to Nagoya City Walk. With so many malls around it, you can get almost anything that you can think of. 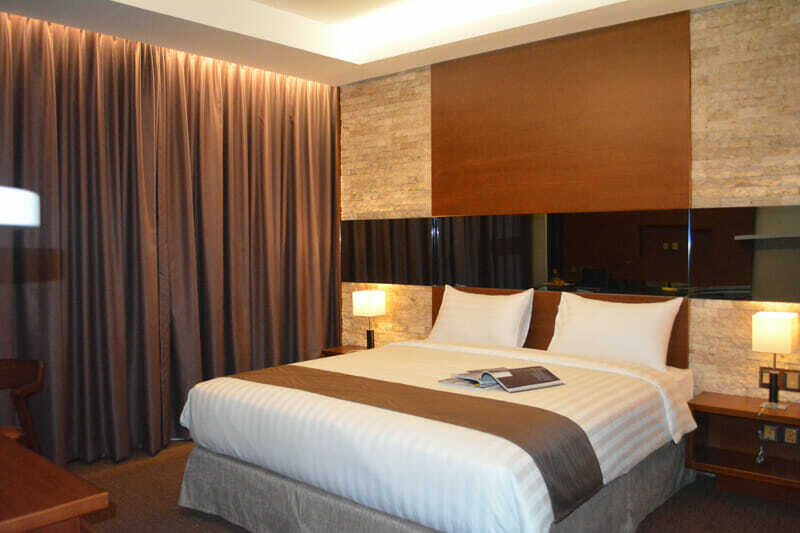 It offers six different room categories: Superior, Deluxe, Grand Deluxe, Junior Suite, Executive Suite, and President Suite. There are Fun Area (for kids), Spa, Business Centre, and Gym. Unless you’re a competitive swimmer who needs 365 days of practise in a year, this hotel is a must-try. Our Da Vienna Boutique Hotel Batam package costs S$42 per person and includes a 2-way ferry ticket from Singapore, 1 night stay with breakfast, and a 2-way Batam ferry terminal transfers. Spacious Room. Swimming pool. Location. Nagoya Mansion Hotel 10-min walk away from Nagoya Hill Shopping Mall. If you’re concerned with the lack of pedestrian walk to the mall, you could take a short taxi ride. It would cost you less than S$5. Unless you’re looking to purchase a grand piano or a car in Batam, the usual creature comforts are all within sight: massage (spa), restaurants, cafes, karaoke, shops, etc. Swimming pool, spa centre, gym, restaurant, bar, meeting room, business centre, and multi-purpose hall. Everything you can ask for in a 4-star city hotel. Our Nagoya Mansion Hotel Batam package costs S$46 per person and that includes a 2-way ferry ticket, 1 night stay with breakfast and a 2-way Batam ferry terminal transfers. 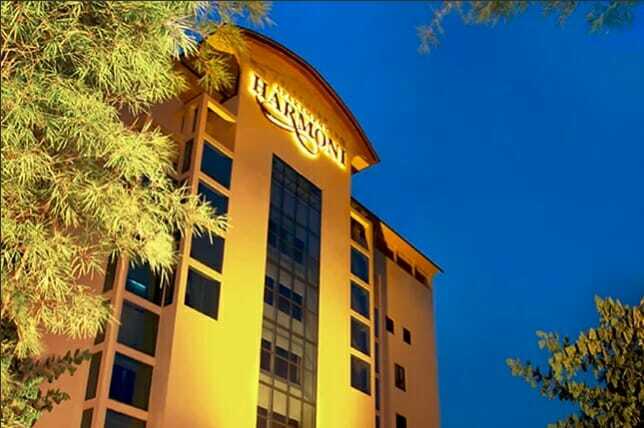 Harmoni Suites Hotel is one of the most overlooked, underrated, and excellent hotels in Batam. It has garnered near-perfect reviews on Tripadvisor. This gem has made it into our list of top cheap and good batam hotels in nagoya for numerous reasons. 5-10 min walk away from Nagoya Hill Shopping Mall that’s just across the road. Food, shopping, massage (spa), karaoke, cinema, and many more activities. Free shuttle service to BCS Mall, Nagoya Hill Shopping Centre, and Mega Mall. All rooms are equipped with kitchenette. The hotel has an indoor swimming pool, sauna rooms, and in-room Wi-Fi among other standard facilities. 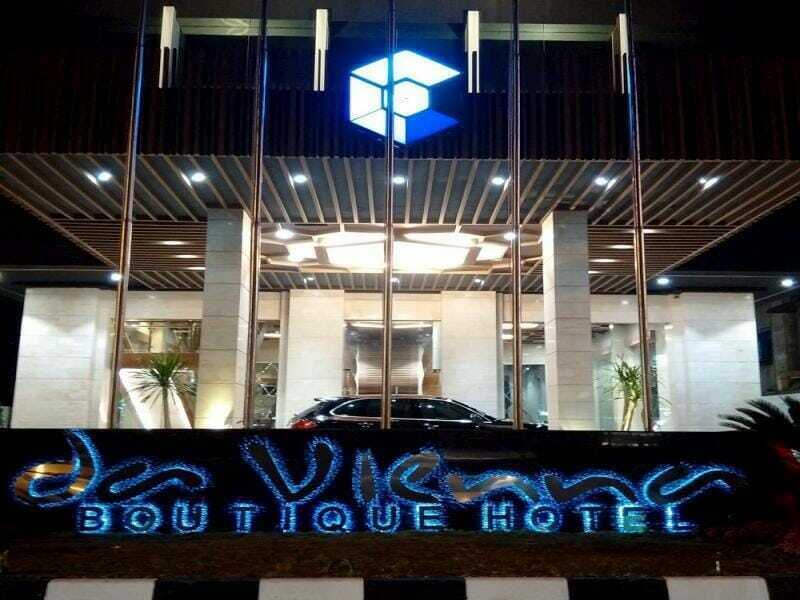 One of the best Batam hotels in nagoya city centre, and even on the island. Our Harmoni Suites Hotel Batam package costs S$49 per person and that includes a 2-way ferry ticket, 1 night stay with breakfast and a 2-way Batam ferry terminal transfers. If you’re one of those travelers who value interactions with the locals and wish to get more out of your travelling experience in Indonesia, consider learning basic Bahasa Indonesia course for beginner. Check out Learn Indonesian Hub, one of the specialized language centers to learn Bahasa Indonesia in Singapore. I just booked nagoya mansion. Hopefully as good as you say here. Thanks! I verify harmoni suites! Stay there before last time, very good! Thumbs up! Thanks for validating! I stayed at da vienna and harmoni suites before. They are really good and value for money. Da Vienna especially, wonderful hotel, really.